In this new exciting world of digital marketing, where content is the king, having proper White Hat SEO is the only way to survive and take your website towards higher rankings. With the advent of Google algorithms ( which keeps changing) like - Panda, Penguin, Hummingbird, and Google giving more importance to quality content and other mobile updates, having White Hat SEO strategy to your website is the best way to boost your SERPs and get more traffic. Implementing White Hat SEO also attracts search giants, who will like your site and your SERPs will also get positioned accordingly. Also to implement white hat SEO, you should also know SEO trends of this year to get better result. Last year we saw most of the brands focusing on giving best user experience to their customer as a core SEO tactic, and we will undoubtedly see that trend continue this year also. So, let’s first understand - what is white Hat SEO? In SEO (search engine optimization) terminology, White Hat SEO means usage of highly optimized strategies, tactics, and techniques that focus on giving better results to the audience and follows complete rules of search engine policies. White hat SEO means implementing SEO practice that improves your SERPs (search engine results page) rankings by maintaining the integrity and credibility of your website while staying within the search engines' terms and policies. White Hat SEO is used by those who intend to make a long-term investment on their website. White Hat SEO is also called as Ethical SEO because it includes practices which do not violate any rules of search engines to generate organic traffic and get more leads. What should your white hat SEO strategy need to focus on in 2018 and beyond? Below are some critical white hat SEO tactics you should keep an eye on, as we fasten our belt for 2018 to go along with creating the best user experience. A few years back, having a mobile friendly website may not be important for white hat SEO but today, it's relevance has increased 100 fold, since mobile devices are highly used to browse the websites. A study revealed that daily more than 60% of searches are done on a mobile device. This huge percentage is a message very loud and clear to every marketer that you just can not have a website which is not optimized for mobile devices. Your website should be well optimized for mobile screens, and its content should be easy to read. There are website testing tools that you can use to check whether your website is mobile friendly or not. By now, you must be aware of the importance of having a mobile-friendly website. According to statistics around 55% of the website comes from mobile devices and that number is growing every day. More importantly being mobile-friendly website isn't going to reduce it anymore, so now you need to have "mobile-first" approach in your white hat SEO strategy. In my previous post, I have talked about the importance of AMP project by Google. AMP is the new definition of having a mobile friendly website, which focuses on giving better user experience to customers by decreasing the page load time. Configure 301 redirects (on old mobile URLs) to responsive versions. We have always heard - content is the king and it's damn true. There is nothing more important than a website offering exciting content. A well-written content makes all the difference in your rankings. If you want to get better search rankings, start creating the long form of quality content, covering the whole topic in depth with over 3000+ words. This approach will also help you in offering link-worthy content to your readers. For this, it's important to know the current content marketing trends going on in the market. Create content that covers every aspect of a topic in detail. Add multiple images, pages, videos and infographics to cover every part of the topic that your reader would have asked for. Studies have shown that long-form of content generates higher ranking than short-form content and increases web traffic by 56%. It could be a simple reason - long-form content has more details and specifics included in one single article. Visitors spend more time reading on detailed and well-written content, and we all know that ranking weight now goes to user interactions. The happier you keep your readers, the happier Google will be with you. Good content also reduces your bounce rate by increasing the spending time of audience on your site. Although Google doesn't penalize site having high bounce rate but does give rewards to the low bounce rate sites. Content without relevant keyword not going to any better to your rankings. Content with keyword stuffing is not good content. When you first start with white hat SEO, creating quality content with the relevant keyword is the first thing you should learn to optimize.Keywords are the most efficient SEO technique to get a high rank for your site. Also, focus on adding “LSI KEYWORDS” to your content. LSI is latent semantic indexing keywords which are phrases and words related to your topic. It helps search engines to study and compare the relation between terms and concepts used in your content. Having proper LSI to your content will increase your visibility as the search engine will understand your content, and this will help you in getting higher rankings in search results. Learn more about LSI here. 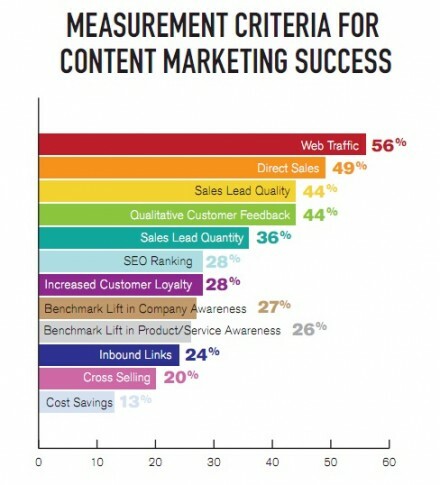 So to rank higher, ensure that your content is comprehensive and resonates with your readers. Despite what you might have known, having good backlinks are still crucial for getting good rankings. According to Moz, a site's backlink is still the most reliable indicator of its rankings. Without backlinks, it is not possible to rank well, even if you have good content. Low-quality links which you get by blog comments, paid links, etc. are easily spammed, and they don't seem to work anymore now. Having low-quality links can also actively harm your site, so be aware next time you think of having low-quality links. Links earned from high-quality content, outreach, and effective influencer marketing ,on the other hand, proved to be safe and highly effective in giving higher site rankings. The backlink is one of the most common white hat SEO technique which is the most reliable indicator for Google to rank a website on the first page. Studies have shown that a page having higher backlinks has greater chance to rank high on Google. We all know that the Google keeps updating its algorithm very often, this can weed out the bad links from a site, but still, most of the links continue to result in a higher score, providing that they are originated from authoritative and diverse domains. 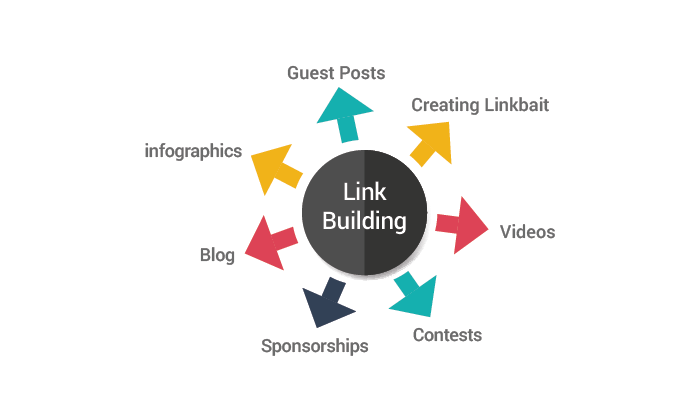 So, to get backlinks to your site, start creating the link-worthy resource on your site by generating high-quality content and promote it to the various platform. You can also take the help of various social media platforms, Influencers, forums, guest blogging, testimonials, etc. to gain good backlinks. You can build backlinks through infographics, which is also one of the trending white hat SEO techniques nowadays. Visual content attracts more attention of the audience in social media than simply writing a plain text content. Infographics are the viral content on social media to build authoritative backlinks. Start creating viral infographics by using great designs, content and statistical data and promote it on various social media channels. Semantically organizing your content will help web indexes to comprehend better the content of your website. Utilizing CSS to highlight the outline components of the content makes it easy for web indexes to discover what is there on your website. Keep in mind quality content is the final deciding factor! To help Google understand your content, you need to ensure that your semantic markups are correct. Semantic markups are essentially HTML tags which helps you in emphasizing the key information of your website. For example, H1 tag (heading tag) can help crawler in understanding what your content is all about and will show in search results under relevant categories accordingly. To cut it short, edit your semantic markups so that they reflect your data and information as accurately as possible. As the IoT has changed, so has our way of getting any information over the internet. Semantic markups improve your search accuracy by understanding the searchers intent. Semantic search has upgraded the search engines. Now they can understand the queries as well as it's context much better than before and show you more relevant search results. Semantic markups allow search engines in understanding the natural language of queries much better. You should know how to build your content with semantic SEO to rank higher your content on search engines. While generating content, understand the relationship between keywords,micro-moments, intent, and context in which you are creating your content. This implies that making small changes to your keywords and phraseology will highly impact on the way Google views your content. Try to understand your searchers intent and then create a quality driven in-depth content. Use LSI, long-tail and short-tail keywords to add more relevance to your content. Try to feed Google with as much info as you can! This can be one of the techniques that can be neglected by you when it comes to implementing white hat SEO strategy. Your website should be the most important part of your white hat SEO strategy. You should logically streamline the web pages and should make it look like an organized filing system. The website crawlers should enjoy the experience on your website. This will propel your website rankings. Be thoughtful while organizing your site's Information Architecture.Websites that are easy for users to use or navigate tends to perform better in organic search results too. Always remember that the users are the prime reason why you built the website. You should focus on making it easier to navigate by making it more simple and well-planned website. This will increase the dwell time of users on your site, hence lowering the bounce rate and improving your rankings. 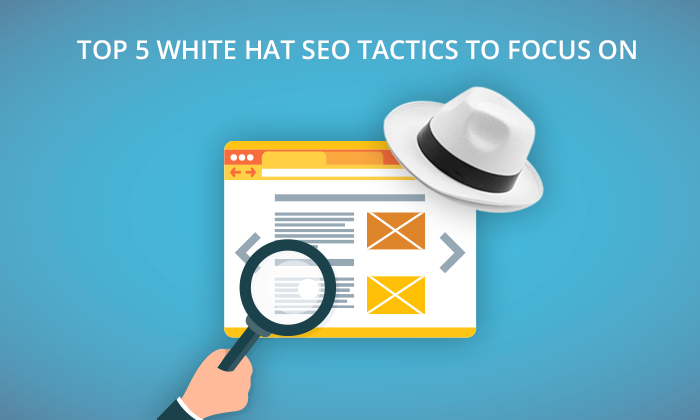 In this blog, we have touched some of the latest white hat SEO strategy, which is trending this year. The most important thing you should always keep in your mind while building a website is that content is the main driver of your site. Focus more on creating quality content and make it more user-friendly and worthy to your readers to spend their time on your website. 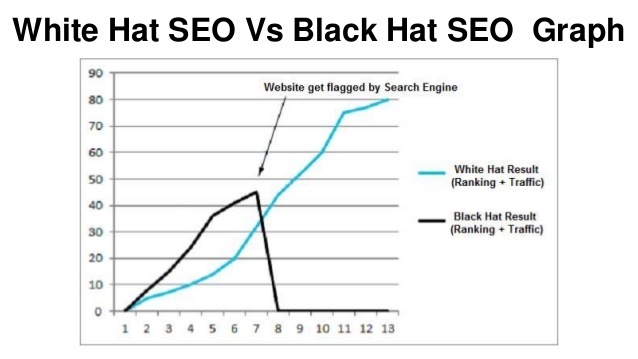 Always remember that through black hat SEO strategies, you can get fast ranking for some time but, it won’t last long as Google is getting smarter day by day, you may end up paying the heavy penalty for it. So try to go ethical way and implement white hat SEO to sustain in the market for longer duration and get higher rankings.